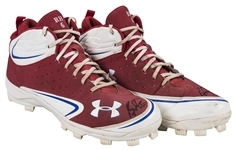 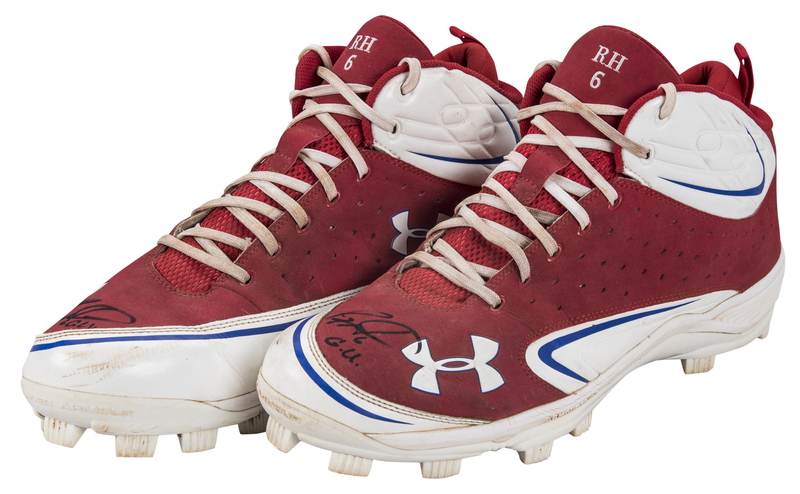 Philadelphia Phillies slugger and 2006 National League MVP Ryan Howard wore these cleats and batting gloves during his MLB career. 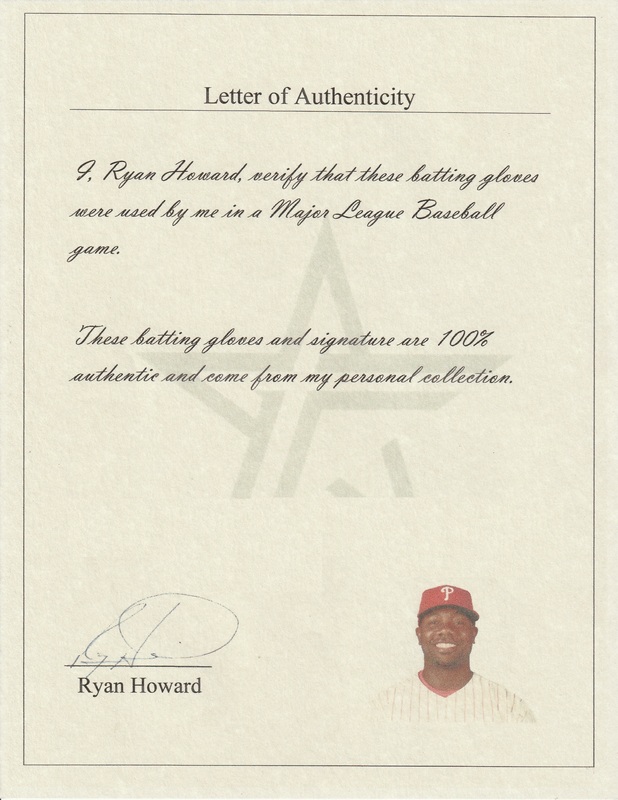 Howard, one of the most dangerous power hitters in baseball during his prime, hit 58, 47, 48, and 45 home runs in a four-season stretch. 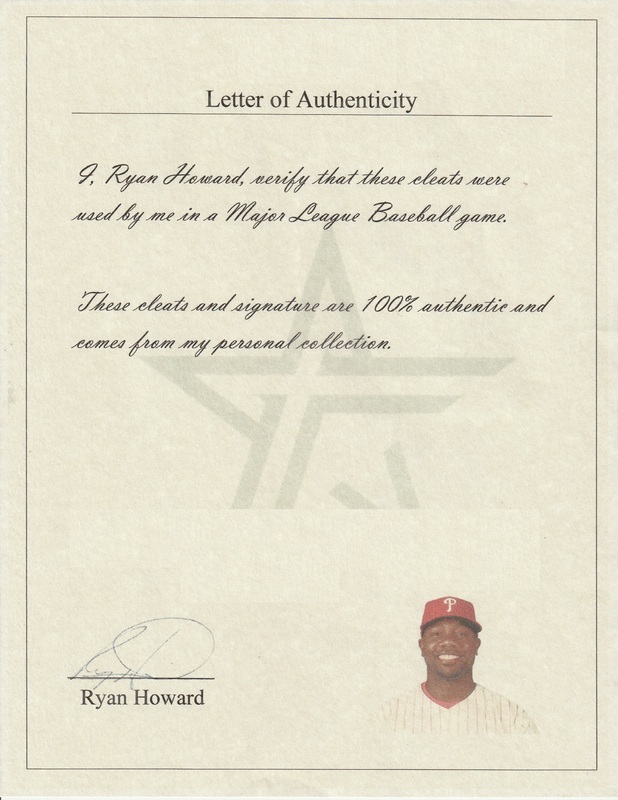 A 2008 World Series champion with the Phillies, Howard finished his career with 382 homers and 1,194 RBI. 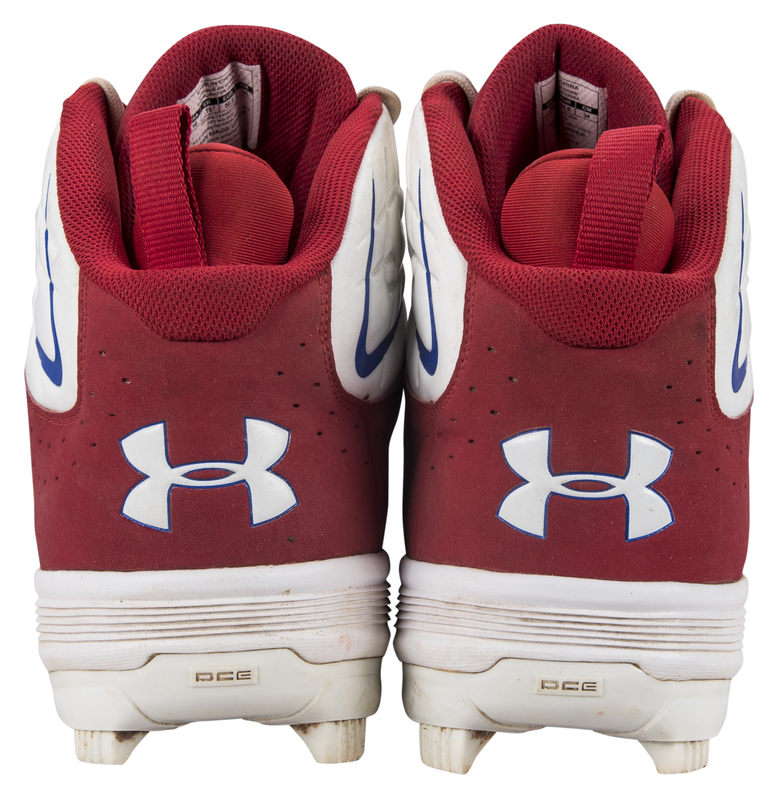 The offered cleats are red with white and blue accents. 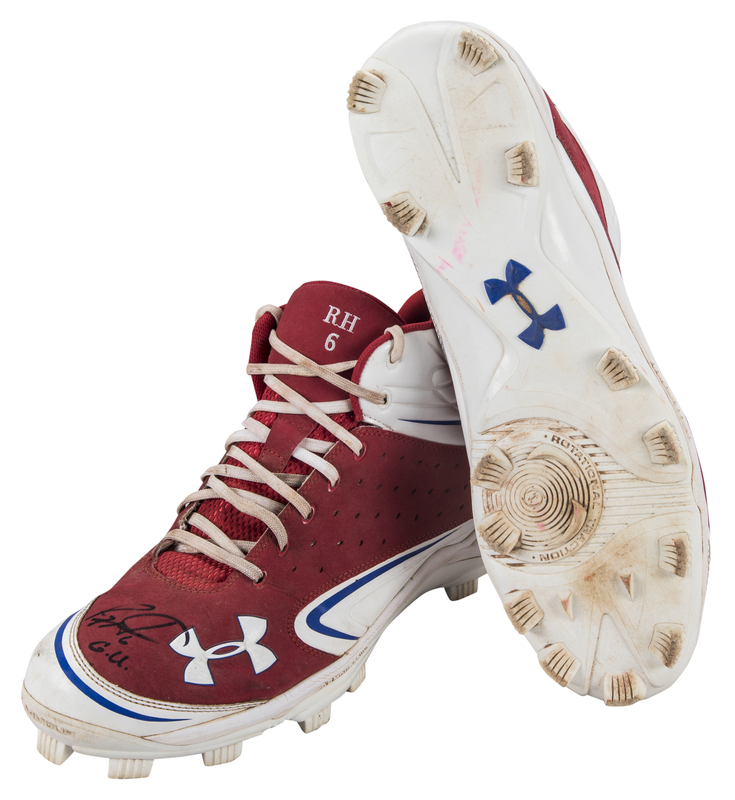 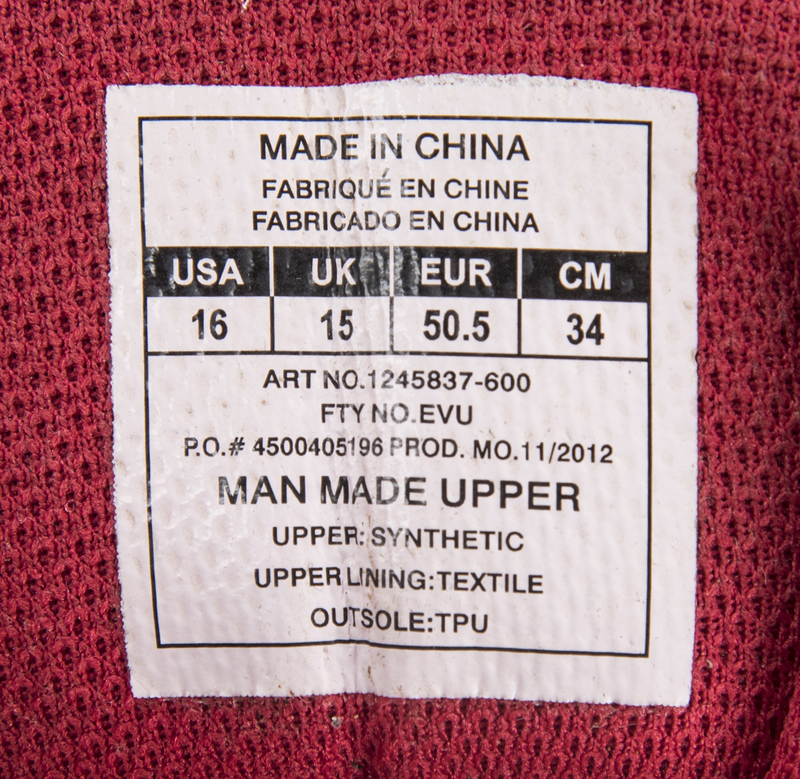 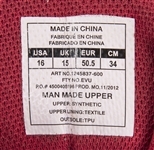 Under Armour logos are applied to the toe, heel, and instep of both shoes. 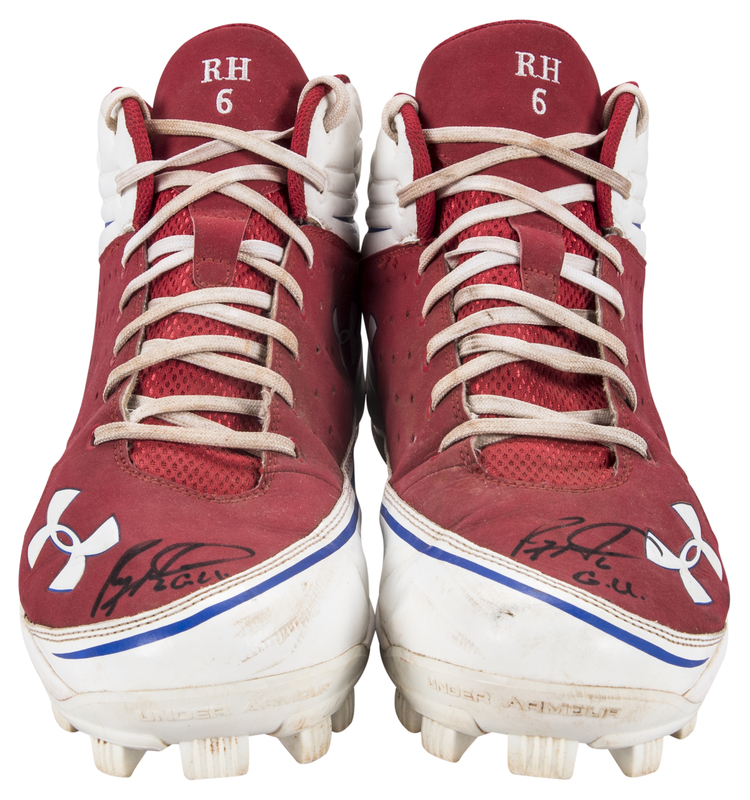 “RH 6” is embroidered on the tongues in white. The soles of these size 16 shoes are outfitted with 13 plastic cleats. Howard has signed the toe of each cleat in black marker, inscribing “G.U.” below each signature. 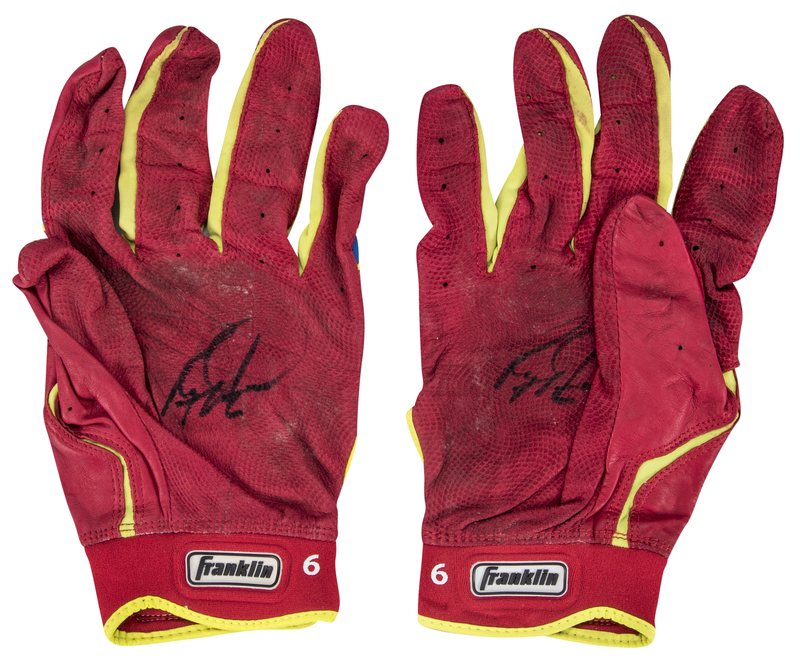 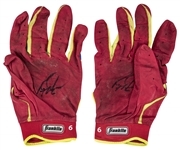 Also included in this lot are Howard’s red Franklin batting gloves. 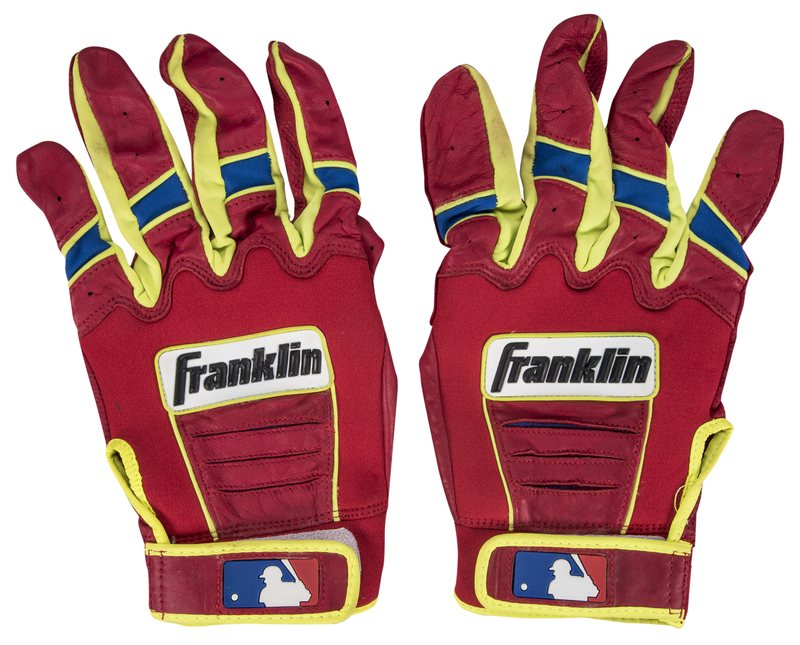 The gloves have bright green and blue accents, with a Franklin logo applied to the top of each hand and a MLB logo applied to the wrist strap. A Franklin logo and Howard’s number “6” are applied to the underside of the wrist strap. 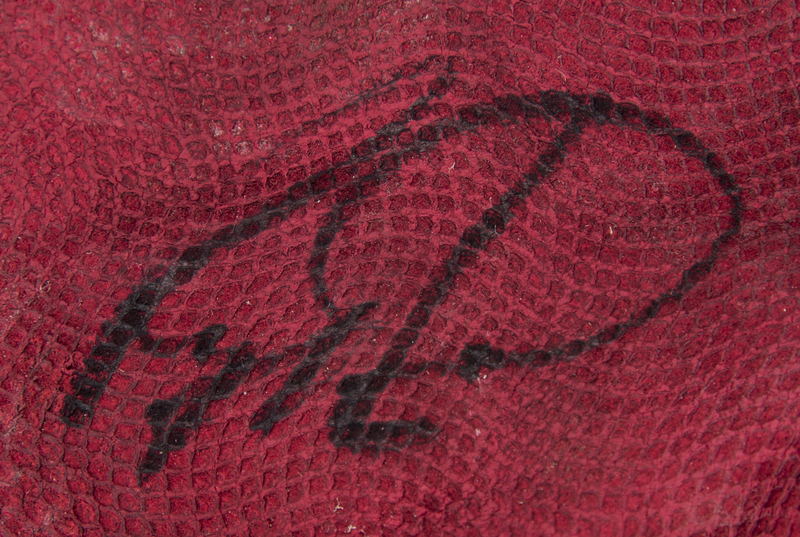 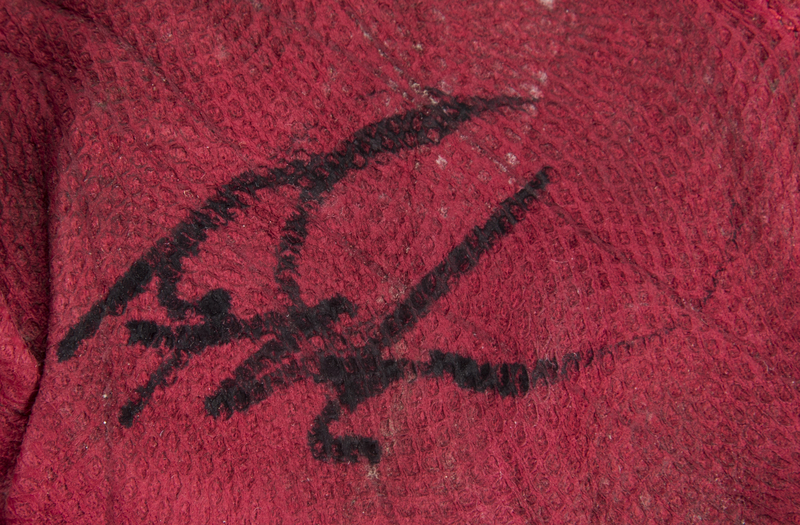 Howard has signed the palm of each glove in black marker. 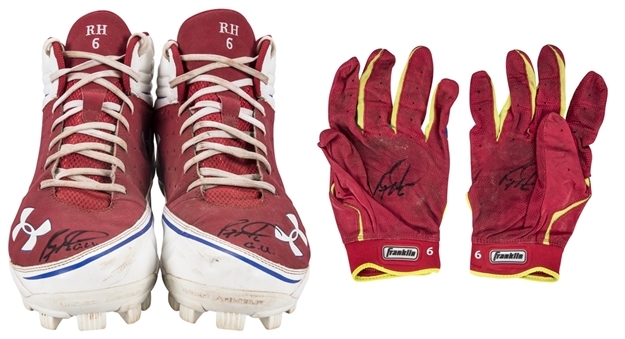 The gloves and cleats each come with a LOA from Ryan Howard.